Pompoms are currently on trend, whether they're adorning a headdress, swinging from a bag, or dangling from a keyring. But why have a plain pompom when you can have a tiny pompomeranian dog, a cheeky monkey pompom, or a smiley face emoji-pom? 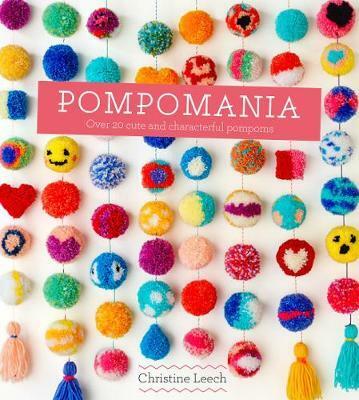 With clear step-by-step photographs to accompany all the instructionsâ€”and with each pompom taking no more than an hour to makeâ€”Pompomania will show you how to give your pompoms personality. With no fancy equipment neededâ€”you can make do with rings cut from cardboard and a pair of scissorsâ€”these pompoms are inexpensive and great to make to keep or to give. Pompomania will add a little pomzazz to your world.